10m behind and on the right of Albator, after a fallen tree. 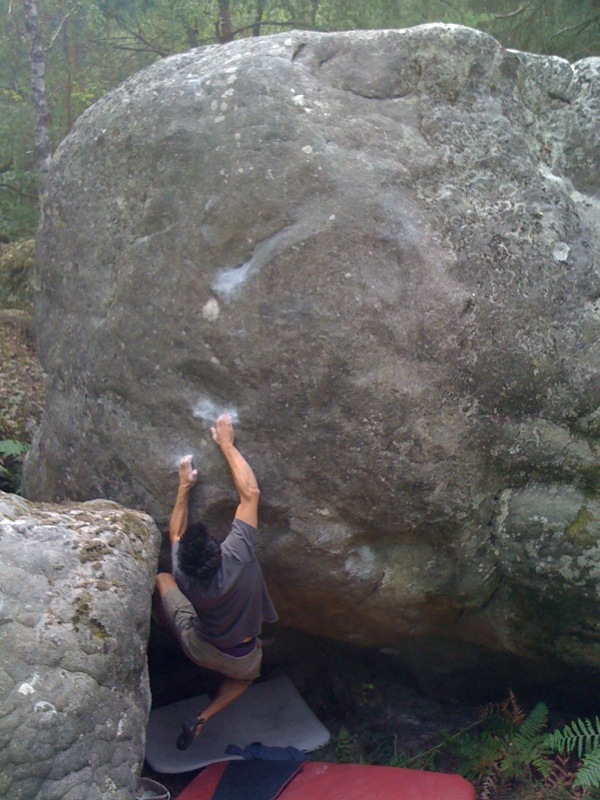 Standing start just right of a small boulder on the ground and climb the wall on slopers, without the big sidepull to the left. Access: from the parking lot, follow the path parllel to La Route Marie-Thérèse for 200m environ up to a fork; the boulder is in the small chaos 30m to the left.